In a study conducted by Dr.Shaista Malik and associates, it has been found that Coronary artery calcium scores had significant long-term (>10 years) value in prognosticating cardiovascular disease in patients with metabolic syndrome and diabetes. A coronary artery calcium score of 0 was associated with low cardiovascular disease risk independent of diabetes duration, insulin use, or glycemic control. The study has been published in JAMA Cardiology. 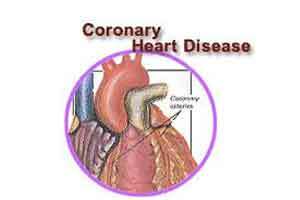 This essentially implies that Assessment of subclinical disease using coronary artery calcium scores may have robust long-term value in prognosticating cardiovascular disease even in those who had diabetes for more than 10 years from the time of coronary artery calcium scoring. The researchers evaluated the long-term clinical utility of coronary artery calcium scores for cardiovascular disease prognostication in those with the established metabolic syndrome and type 2 diabetes in a multiethnic population. This aimed to compare improvement in long-term prognostication of incident CHD and ASCVD using CAC scores among those with diabetes, MetS, or neither condition. The study included 6814 participants from the Multi-Ethnic Study of Atherosclerosis (MESA), aged 45 to 84 years without known CVD from 4 ethnicity groups (white, African American, Hispanic, and Chinese). CHD events, including myocardial infarction, resuscitated cardiac arrest, or CHD death was measured. The results showed that coronary artery calcium scores had significant long-term (>10 years) value in prognosticating cardiovascular disease in patients with metabolic syndrome and diabetes. A coronary artery calcium score of 0 was associated with low cardiovascular disease risk independent of diabetes duration, insulin use, or glycemic control.The CAC score was also a prognostic indicator of CHD and ASCVD after controlling for diabetes duration of 10 years or longer at baseline, insulin use, and glycemic control. The researchers concluded that the addition of CAC score to global risk assessment was associated with significantly improved risk classification in those with MetS and diabetes, even if diabetes duration was longer than a decade, suggesting a role for the CAC score in risk assessment in such patients.